Set with a brilliant diamond solitaire in an elegant four claw setting, surrounded by a double halo of diamonds totalling1/2ct, this beautiful 18ct White Gold ring also features diamond set shoulders. Certificated by GSI. 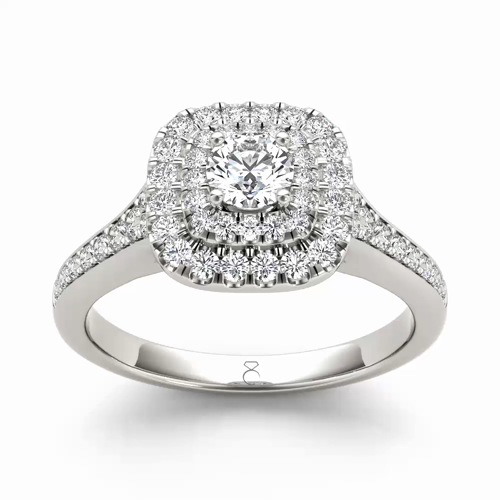 The Diamond Story 18ct White Gold 1/2ct Diamond Halo Ring is rated 5.0 out of 5 by 3. Rated 5 out of 5 by Anonymous from Stunning!! This is an absolutely stunning ring! Lovely size. Everyone loves it and complements me about it all the time. 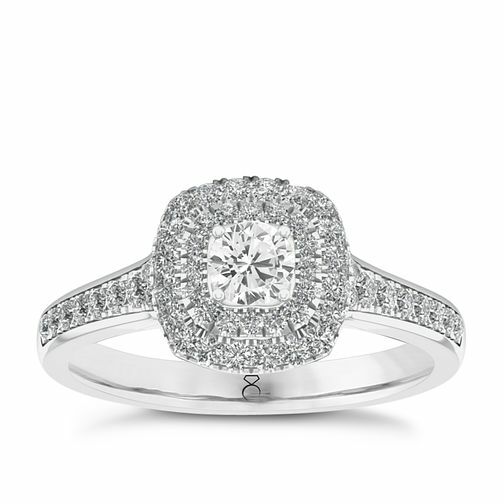 It’s just so sparkly.. absolutely stunning engagement ring. I’m in love!